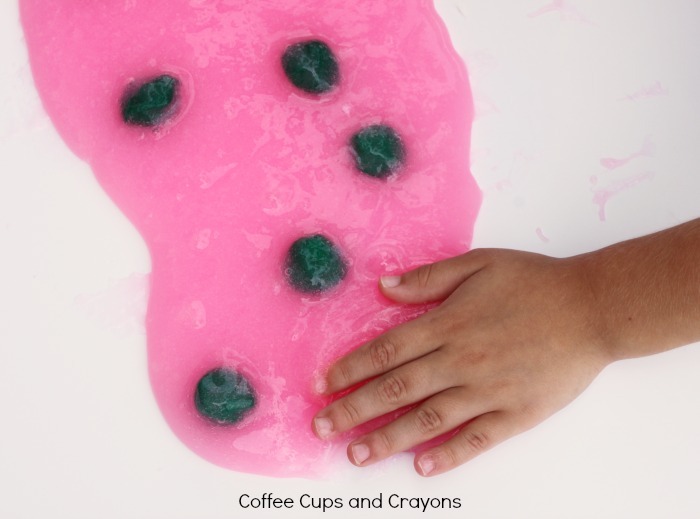 Slime is such a fun sensory experience for kids. My kids have been especially loving scented slime lately so we decided to make a scented watermelon slime recipe! 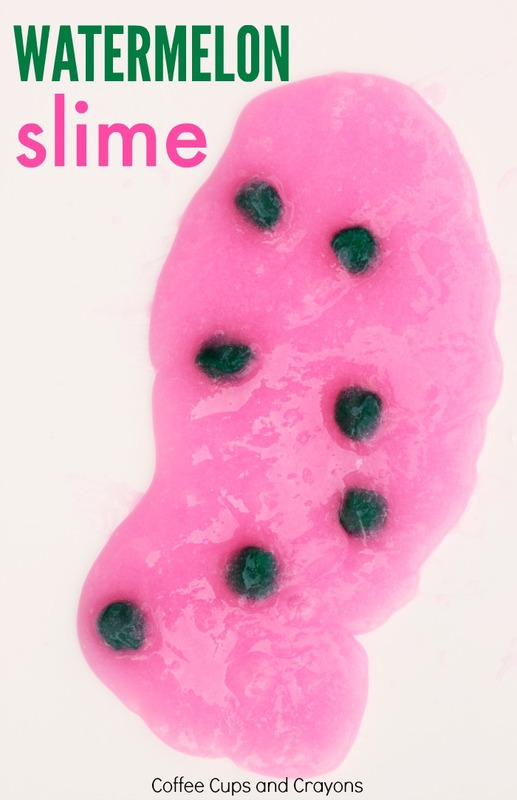 This slime recipe is perfect for summer or anytime you need a summertime pick me up! 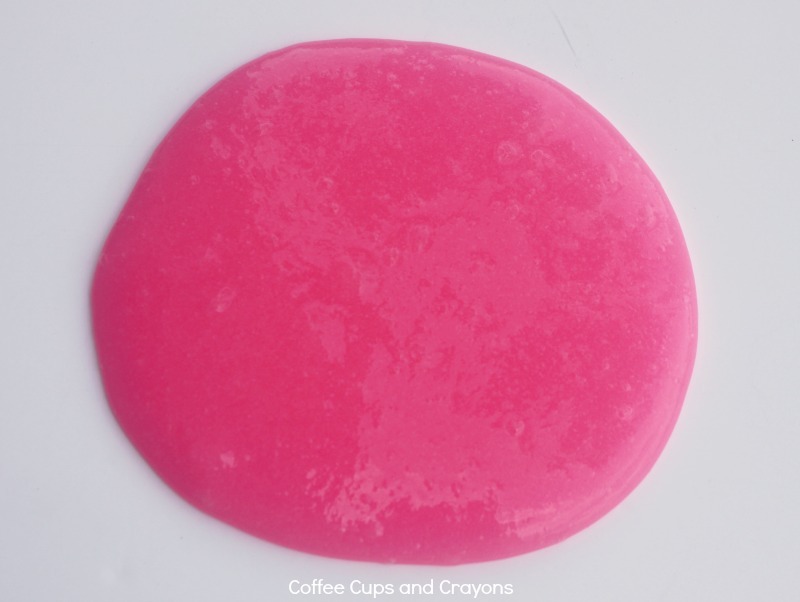 To make watermelon scented slime dump two bottles of clear glue to a bowl, you can even use an old bucket or a container you have in the recycling bin. 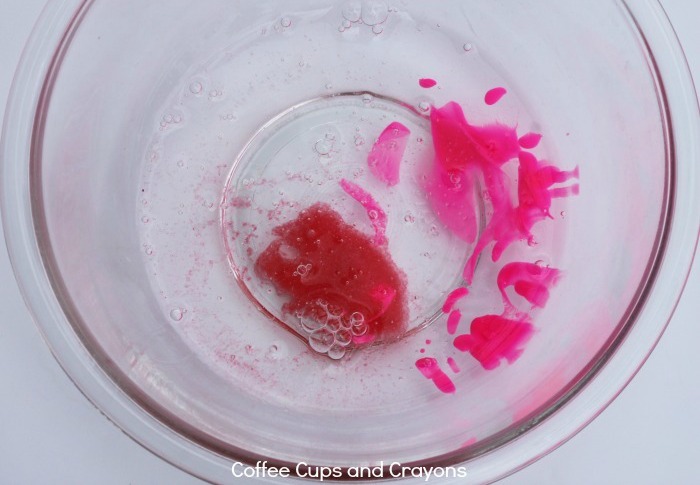 Add 1 tablespoon of the watermelon Jell-O and a big squirt of the liquid watercolor. Mix together with a wooden spoon. Add in 1 cup of liquid starch and start to stir. It doesn’t become slime-like right away so don’t get worried if it seems a lot stickier than what you were expecting. Stir until it is all combined and becomes a ball then let it sit for a couple minutes to gel. Knead it with your hands until it has a slimy consistency and isn’t too sticky to play with. After all that kneading the whole room will smell watermelon-y and the kids will be begging to get their hands on the slime! After they’ve played for awhile you can get out the pom pom “seeds” for them to add in.